Longtime Meeteetse, Wyoming resident Lloyd E. Barling, age 93, passed away on October 21, 2018, in Casper, Wyoming. Lloyd is survived by his 3 daughters, Shauna (Jim) Gibbs of Casper, WY, Daria (Bill) Dooley of Buffalo, WY, Kenli (Randy) Lowe of Meeteetse, WY; 5 granddaughters, Jaime Gibbs Hartt, Adri Dooley Ruby, Lynsey Dooley Kling, Sarah Talbott Hunter, Shannon Talbott Reiff and 14 great grandchildren. Lloyd was preceded in death by his wife of 70 years, Alice Margaret (Marge) Barling and sister Blanche (Charles) Nicholson. 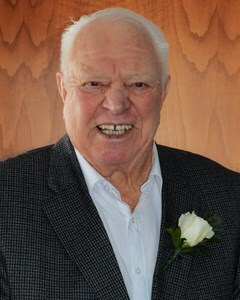 Lloyd was born on July 20, 1925 in Billings, Montana to William E. Barling and Helen M. (Agelii) Barling. He enlisted in the Navy V5 program and trained as a fighter pilot, earning his commission. He graduated from the University of Wyoming with a degree in Engineering and spent his career as a civil engineer for Barling Construction. Lloyd was a passionate outdoorsman, who loved the challenges the outdoors brought. He had a creative and inventive mind, always seeking new challenges, artistically and mechanically. He had a strong sense of civic responsibility and served on many boards and commissions, including the Meeteetse School Board, Park County Commission, Big Horn REA and Tri-State REA. Lloyd always appreciated the beauty of Wyoming, especially Meeteetse, where he spent his life. A celebration of life memorial service will be held in Meeteetse in June. Memorial contributions may be made to the Meeteetse Senior Center, P.O. Box 461, Meeteetse, WY 82433. To share your memories of Lloyd or leave a special condolence message for his family, please click the Share Memories button above. Add your memories to the guest book of Lloyd Barling. I am so sorry for your loss, please let me know if you need anything. My heart and prayers are with you and your family. I love you and I hurt with you as I am reminded how it hurts to loose a loved one. Please let me know if there will be a funeral so I can send flowers or let me know when you'll be home to send a gift of some kind. Sending our sincere condolences. I'll always have fond memories of Lloyd. His quick smile and positive attitude always cheered me up. He will be missed by many.